I couldn’t see where the cries for help were coming from. The rocky hulk of Tryfan was almost black in the twilight and was shrouded in cloud. I could tell the shouts of help were definitely coming from high on Tryfan’s west face, but they were just disembodied voices in the growing dark. 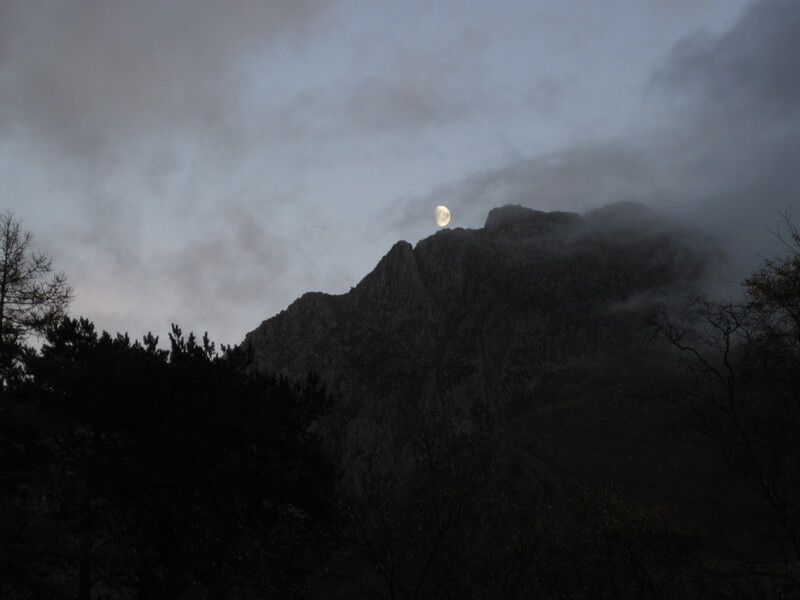 The Moon over the west face of Tryfan in Snowdonia National Park, Wales.